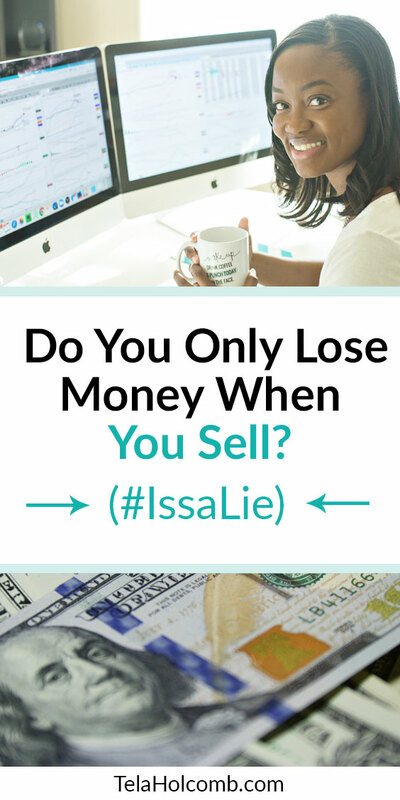 Do You Only Lose Money When You Sell? 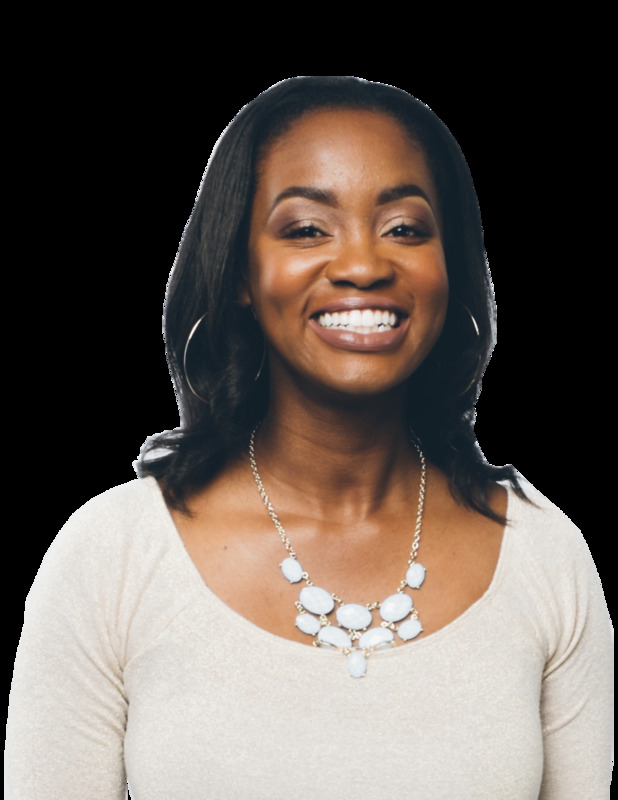 #IssaLie — Tela Holcomb | The stock market in plain English. I’ve been hearing some advice kind of floating around for a couple of you folks and you’ve come and asked me about this. I’ve even seen it posted in the group. I’ve seen the advice where they say, “As long as you don’t sell, you haven’t lost any money.” Well, I think that is the wrong mindset to have when it comes to trading the stock market. I’ve been hearing some advice kind of floating around for a couple of you folks and you’ve come and asked me about this. I’ve even seen it posted in the group. I’ve seen the advice where they say, “As long as you don’t sell, you haven’t lost any money.” Well, I think that is the wrong mindset to have when it comes to trading the stock market. It is a mindset that will have you go broke, really quick! It is best to get a handle on that and dismiss it quickly, so you’re not going broke. Here is an example of why I think it is not a good framework or mindset to work from. Say for instance you bought a stock at $40 and it goes down to $35. People giving that advice would say, “You haven’t lost anything unless you go to sell it.” My question is, what if the stock goes to $25? What if it goes to $10? With that mindset of ‘you haven’t lost anything until you sell,’ it can have you holding on to a stock all the way to zero. I’ve seen that happen before. In the market, there are companies that have gone completely bankrupt, gone out of business, and are left with their stock being worthless. So, if you go forward with that mindset of ‘you haven’t lost anything until you sell,’ you could be hanging on to zero and I don’t want that to be you. Think of it from the perspective of buying a home. Remember in the housing market when everything was up and homes were really expensive and selling really well? Then we reached a point where the bubble burst? There were people that paid $400,000 for their home, then the bubble burst and their home was worth $100,000 to $200,000. Now, would you still think that your home is still worth $400,000? No, your home is worth what everything else around it is selling for and, at that time, it was all selling for $100,000 to $200,000, because the bubble had burst. You can’t sit there thinking you’re going to be able to sell your house for $400,000. It’s the same thing with your stock. If you bought the stock at $40 and it goes down to $35, you can’t sit around with the mindset thinking, “I still have $40 worth of stock because I haven’t sold yet. I can still sell at $40 or keep hanging on and still be able to sell at $40.” That is the completely wrong mindset to have. Your stock is worth what it is currently worth, which is the current stock price on the stock market. If it went from $40 to $35, guess what? Your stock is only worth $35 dollars. You have to develop the mindset to be okay with the fact that it went from $40 to $35. No, don’t be okay with the fact that you lost money or are losing money. But, be okay knowing that stock doesn’t go straight up and it doesn’t go straight down. It fluctuates for a reason and what you have to do is figure out why it’s fluctuating, why it’s going in the directing that it’s going. You need to ask yourself: “Is this the time where I sell this decline in a stock? Is this where I need to sell because the stock has gone down?” What do you need to look at? To determine that you need to look at what else is going on in the market. There are a lot of things going on and you have to stop and figure out is something wrong with this company? Is there something wrong with this stock? Is there something wrong with this trade that I’m currently in? Usually, the answer is no. Usually, it’s some type of market news, finance news, or some type of world news. Or it’s just a day where the overall “crowd,” or the overall market, is headed in the opposite direction as you. That tends to drag your stock down. That isn’t the time to panic and sell. Or even think, “I haven’t sold yet so I haven’t lost any money.” No, you have lost some money but that’s not a bad thing. That is just the fluctuation in the market. That’s something you have to deal with, that emotion of knowing, “Okay, my stock went down a little bit. Is everything okay? Is everything the way that it needs to be?” That involves also knowing the current season of the stock market. Throughout the year, the stock market fluctuates differently. It moves differently. Just like we have different seasons throughout the year, the market itself has different movements and seasons. You need to figure out what season your stock is in, the season the market is in right now. It might be the time of year where your stock does go down. When you’re trading, knowing the season the market is in, and what trends your stock has - maybe your stock has a trend of going down this time of year - you know how to react. You know what to expect. You can say, “Okay, it’s just the current season.” Or, “The stock has a trend of doing this right now.” Or, “There’s some market news out there that’s affecting everything as a whole.” But, if you go forward with that mindset of ‘I haven’t lost anything because I haven’t sold it,’ you’ll be hanging on for way too long. How do you react when your stock price drops? Tell me in the comments!